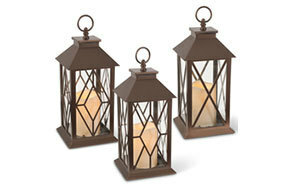 Set of 3 - Metal Honeycomb Design Lanterns - 3.86" x 10.5"
LED lanterns offer a modern alternative to classic candles. Lighting is very important when decorating for a wedding or other big event. Guests need enough illumination to see and move safely, yet lights should be kept at levels that are comfortable and create the right atmosphere. The type of atmosphere you want may vary. Some prefer the warm glow of a natural flame while others want something more exciting like colorful party lights. No matter which you want, we have an LED lantern to match! 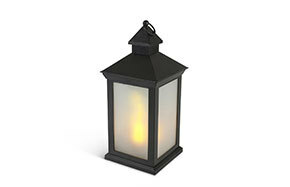 Our LED lantern collection offers a diverse variety of beautiful luminaries that look stunning on tables or when hanging from branches, rafters or hooks. Some are very traditional while others are more modern and contemporary. 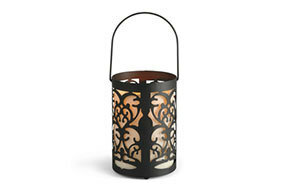 Couples and party planners who prefer a more traditional design will adore our peaked lanterns and similar styles. We carry cases of 24 that contain three styles in your choice of red, white or black. 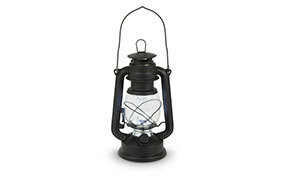 Our black hurricane lantern looks just like something you might see hanging outside of a rustic log cabin. 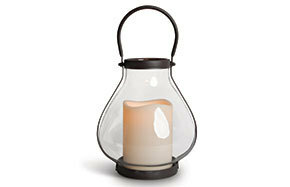 This style includes a clear hurricane with a wire handle and round base. 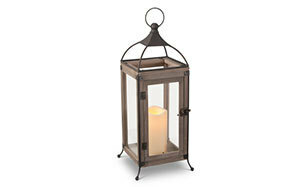 Our wood cross lantern showcases the beauty of natural wood grain that’s a must-have for country weddings. 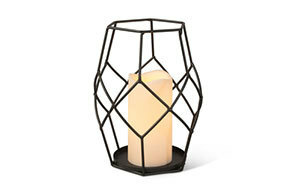 Those who prefer a more modern approach to decorating will adore our wire open work outdoor lanterns. These include a similar black finish and wire design but in a sleek round shape. If you want more elegant detail, our round outdoor lanterns are available in 12.5” and 7.5” sizes and feature delightful open sides with heart shaped scrollwork pattern that’s reminiscent of damask. Some of our models combine both elements into one spectacular luminary! Our silhouette outdoor lanterns include the traditional peaked roof and square base with birds and leaves in silhouette along each side. A similar collection is also available showcasing an assortment of four different leaf patterns per case. From our colorful glass globe outdoor lanterns to our timeless school house lanterns, we have the look you need for your big day! 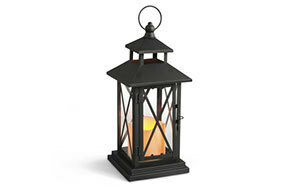 Shop our collection then check out our candles to find reliable LED lights that work with these decorative lanterns.